Thumb trigger release with a deeper handle sweep for an even more comfortable feel. 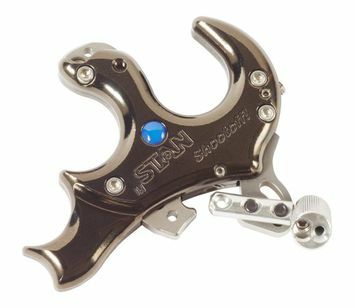 Designed with silkpath sears for a wide range of trigger travel and adjustability without the need for additional springs. Incorporates Trainer Lock technology which provides the ability to practice shot execution without firing an arrow. Made with heavy metal body for improved feel and follow through.